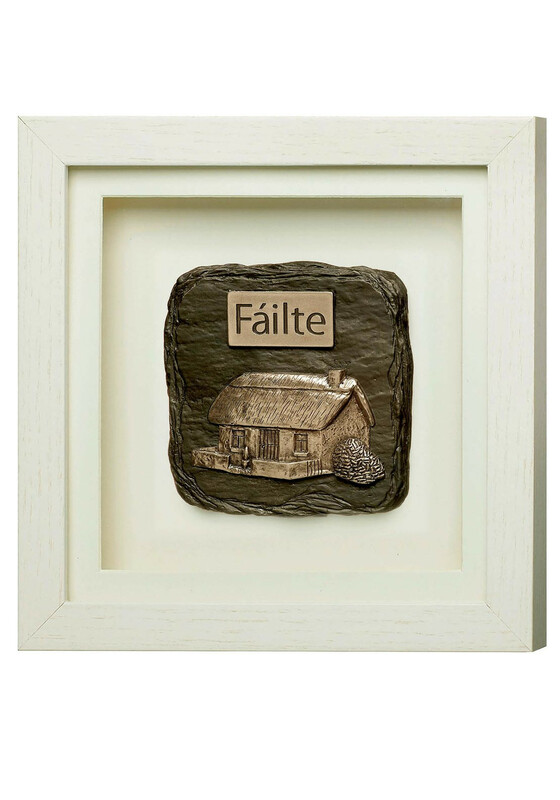 A beautiful Genesis white wooden frame which holds a fine piece of sculpted bronze. 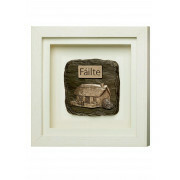 It has a picture of a traditional Irish cottage with a plaque above with the Irish word for welcome ‘Failte’. A stunning piece that will sit beautifully in your home.